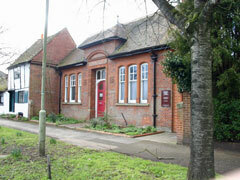 The Society of Friends (Quakers) meeting house is located along Northfield End in Henley. They meet for worship every Sunday at 10:45. 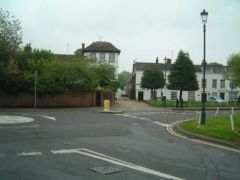 The mini-roundabout at Northfield End taken from the end of Kings Road. 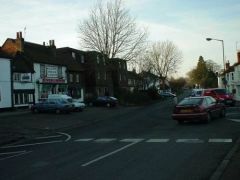 Northfield End Post Office can be seen to the left of the picture. The road going straight forward is Fair Mile.